Lori Wick’s bestselling series The Kensington Chronicles (more than 375,000 copies sold) has a fresh, new look sure to please her longtime fans and draw a new generation of readers. 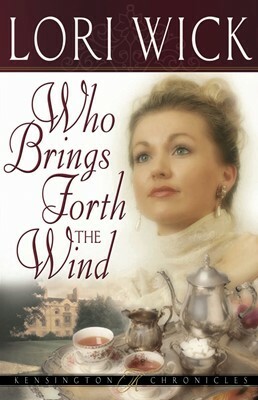 Set in the 1800s, this series captures the adventure, wealth, and romance of the British empire. Tanner Richardson, the volatile duke of Cambridge, sees his wife with another man. Misinterpreting the situation, he erupts in rage and throws her and their unborn baby out. Tanner’s anger smolders—until the night he is shot….